Southbury Ambulance Association (SAA) announces the addition of a new ambulance to their fleet of vehicles. The 2016 Sprinter four wheel drive van style ambulance began responding to calls last week. Southbury A4, as it will be identified, will be the fourth vehicle SAA will house. “With the increase in call volume and the demand on our vehicles it became necessary to increase the size of our fleet,” stated Geralyn Hoyt, President of SAA. In 2016 SAA responded to over 1900, 911 requests and logged nearly 100,000 total miles on its three existing vehicles. Routine maintenance and repairs are vital so we have ambulances available that we can depend on. “SAA keeps all of its vehicles in excellent running condition via a regular maintenance program,” said Burt Cieply, Vice President. “This keeps our vehicles in top condition and limits unscheduled downtime.”In addition to responding to emergency medical requests, SAA participates in numerous community events throughout town. 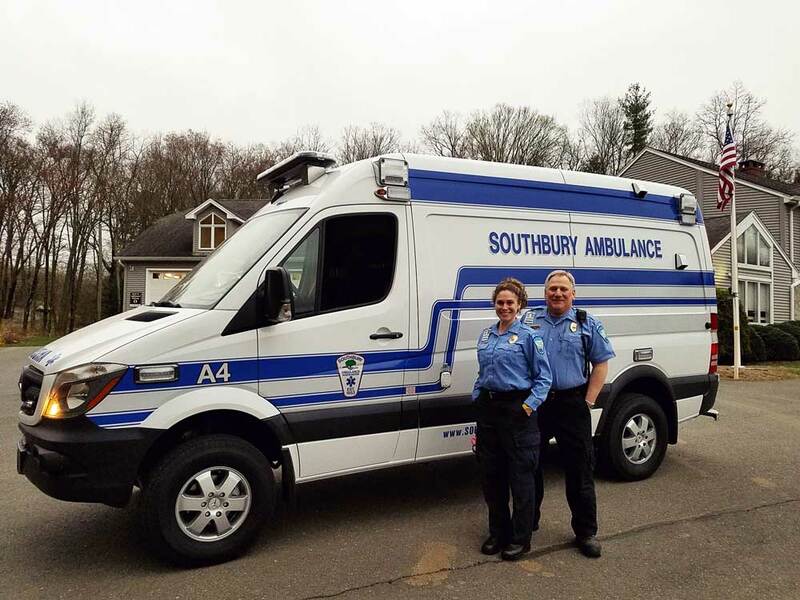 Southbury Ambulance is a volunteer driven organization that is always looking for those interested in the field of pre-hospital emergency care. SAA offers training classes at the Emergency Medical Responder (EMR) and Emergency Medical Technician (EMT) levels. SAA even has opportunities for those who have time to volunteer in administrative roles. For more information on how you can volunteer for SAA please check our website at www.southburyambulance.org, like us on Facebook at www.facebook.com/SouthburyAmbulance, or call our business office at 203-262-8082.